Sometimes life throws a real curveball at you, putting you in a financial situation that requires fast emergency cash. If you’ve found yourself in such a situation, you could depend on Illinois Title Loans, Inc. to help you out. If you own a vehicle, the Rock Island title loans that we offer could put anywhere from $100 up to $4,000 in your pocket today. To get started on the process, the first thing you will want to do is fill out our short online request form, which you can find right on this page. After that has been completed, you can expect a quick call back from a friendly store representative, who will answer any questions you might, explain how everything works, and make sure you have the required items listed below. Once this phone call is over, all you need to do is gather up those items and head over to our local store location to complete the process. Upon your arrival, the loan specialists will have your paperwork ready to go, and while you fill that out a manager will perform a quick inspection of your vehicle. After all is said and done, you could finish the process and get the cash you need right then and there. You can even continue to drive your vehicle as you repay your loan, so don’t waste another second worrying over your financial challenges. Get started now by filling out the short online form and let Illinois Title Loans, Inc. help you get the fast cash you need today! We proudly serve residents of the greater metropolitan area, from Rockford to Machesny Park, and Loves Park to Belvedere. Regardless of what your credit history looks like, you could get up to $4,000. The fast cash you've been looking for is waiting at Illinois Title Loans, Inc.! 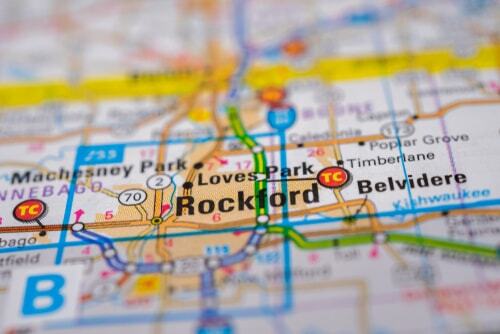 Why Choose Us for Your Rockford Title Loan?